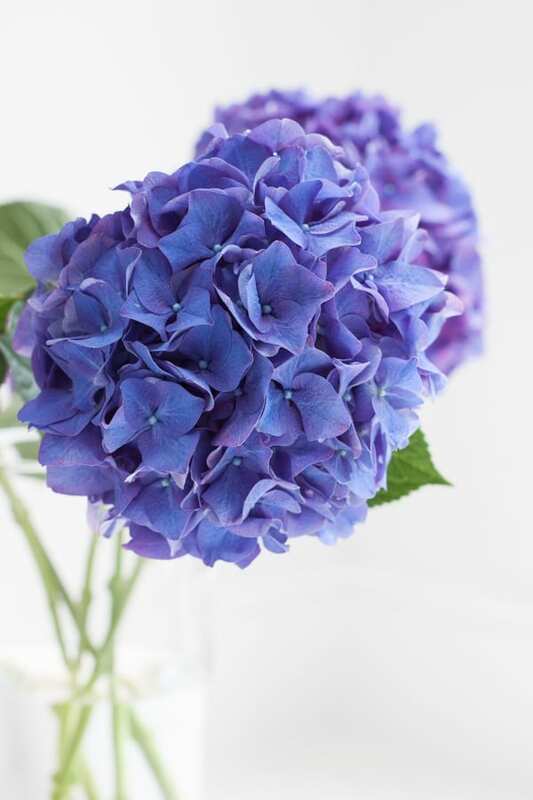 I hope your week has started well. Today’s blog post features a stunning new collection from LSA International called ‘Stilt’. 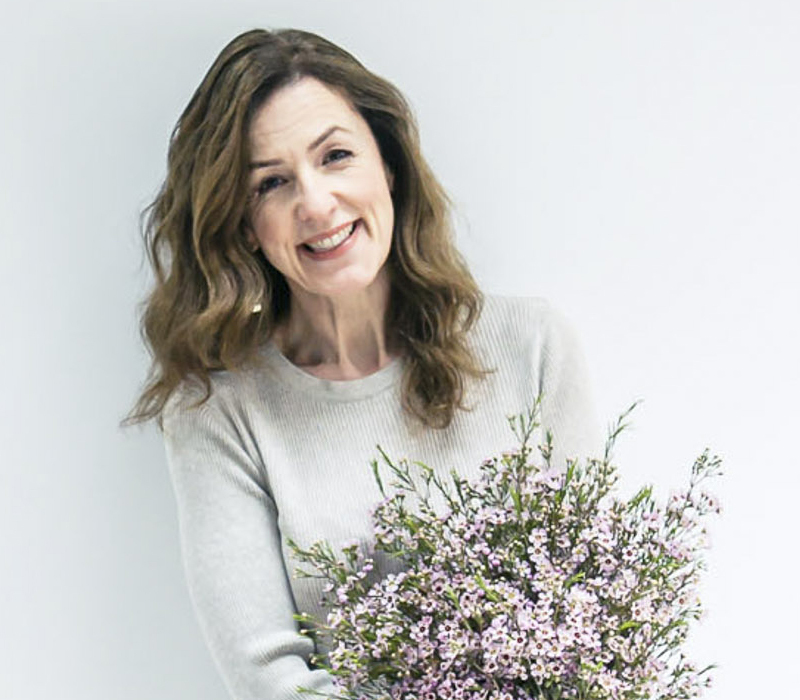 You may already be familiar with the company, as they’re well-known for their exceptionally high quality glass vases and they’re also one of the sponsors of our workshops for florists. 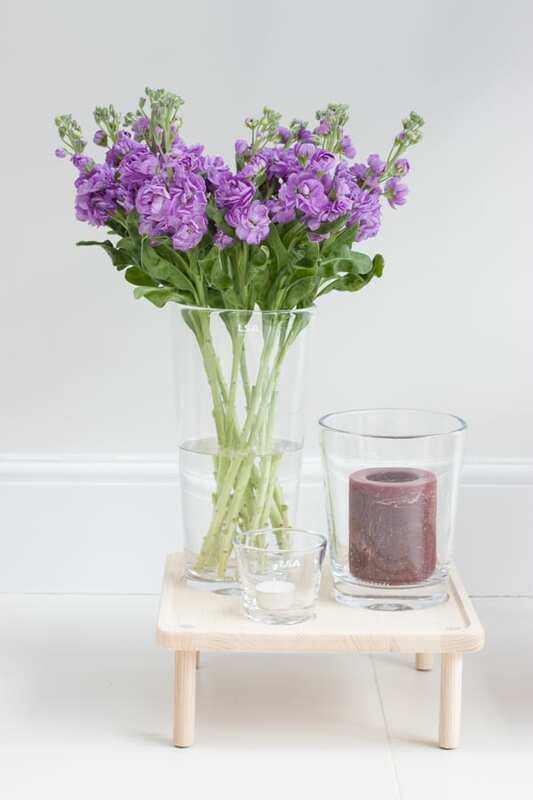 Their Stilt range has a very modern feel, with each piece featuring a wooden stand with ‘stilts’ made from natural ash. 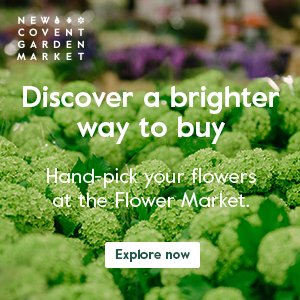 Here, I’ve styled up a selection of the designs from the collection with breath-taking flowers from Bloomfield at New Covent Garden Flower Market. In the centre of the photo above is the Stilt Vase & Ash Stand. 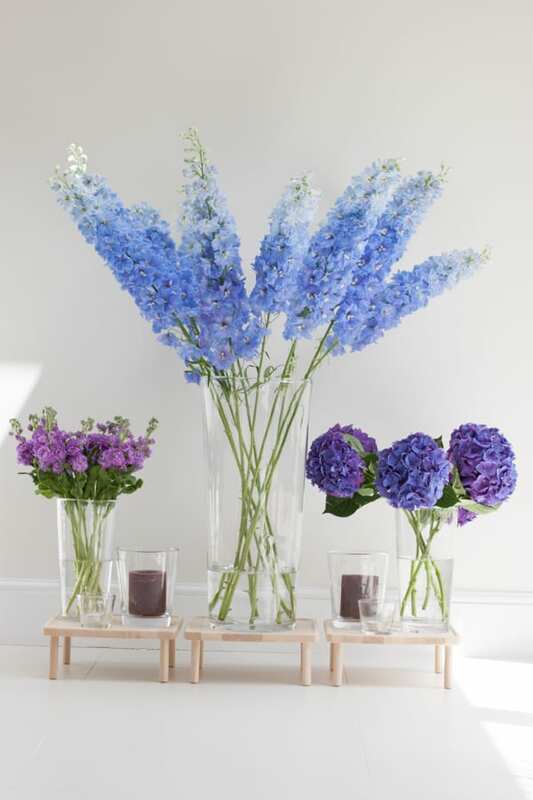 The mouthblown glass vase is over 70cm in height, so in it I’ve displayed long-stemmed pale blue delphiniums. 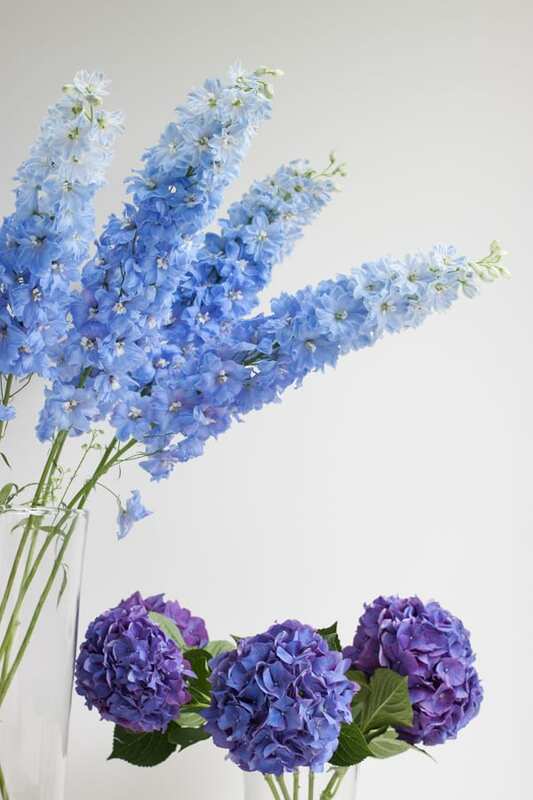 It would also look great with twigs or blossom. 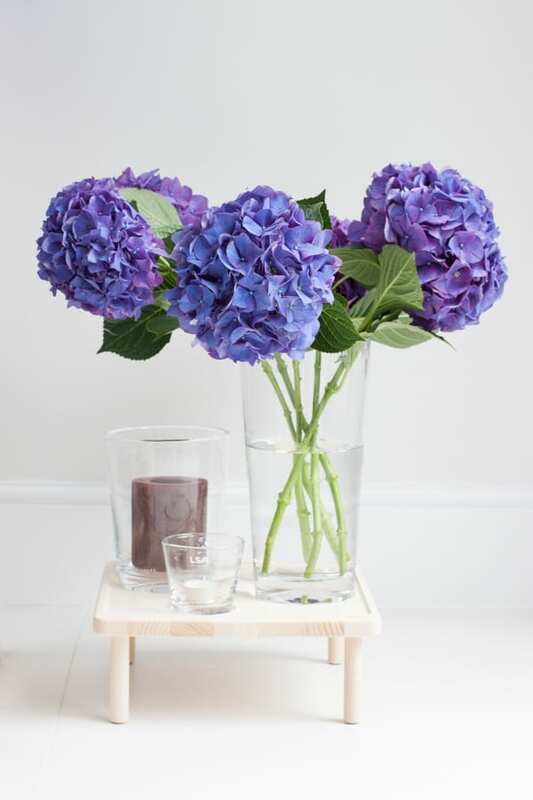 Below are two Stilt Vase/Lantern/Tealight Holder & Ash Stands, styled with different blooms. 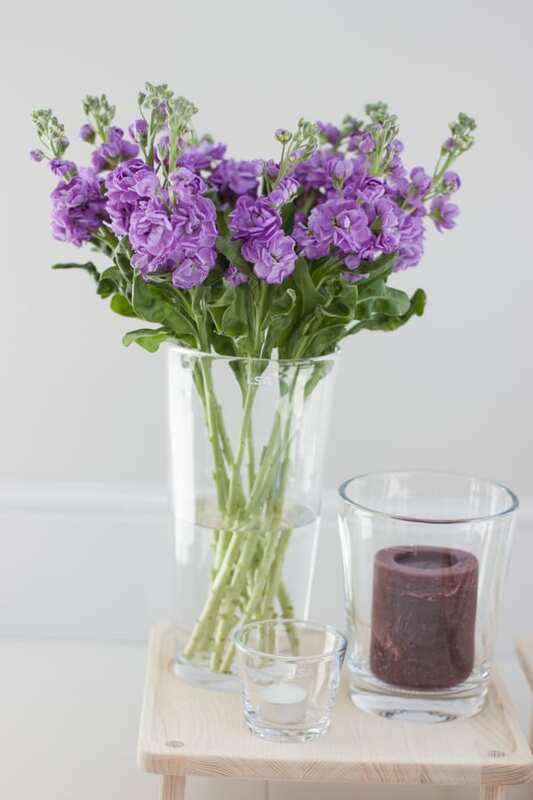 Each set includes three mouthblown glass containers for use as vases, candleholders or a combination of both. 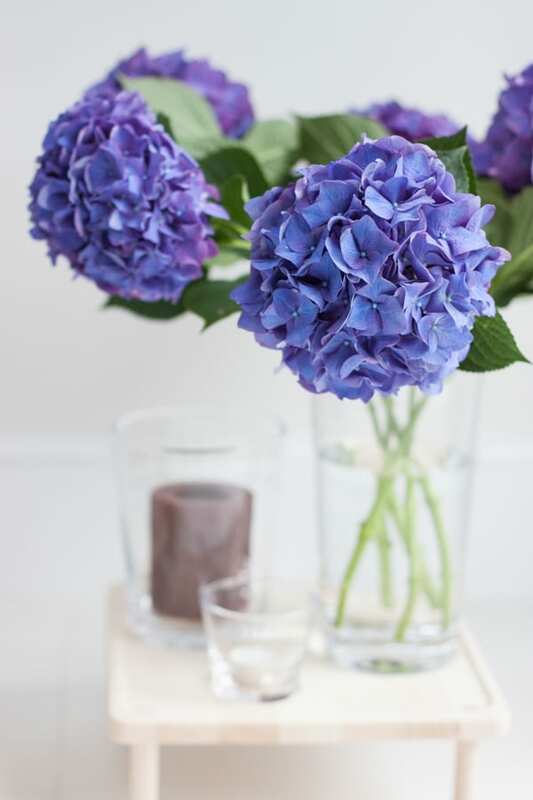 Featured on the first stand, with a scented candle and tealight, are stems of Hydrangea macrophylla. 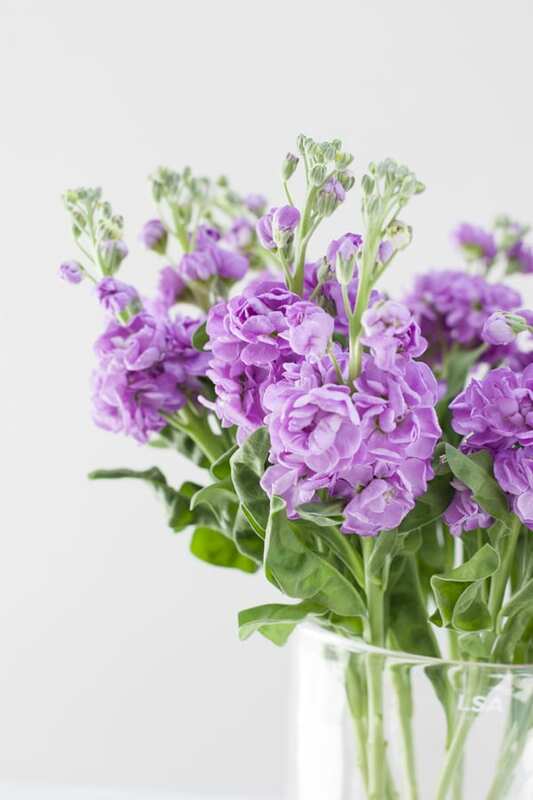 And on the second stand, I’ve arranged beautifully scented stocks. There are also several serving pieces in the range, including this Stilt Serving Platter & Ash Stand. It features a porcelain plate on a wooden stand with stilts. 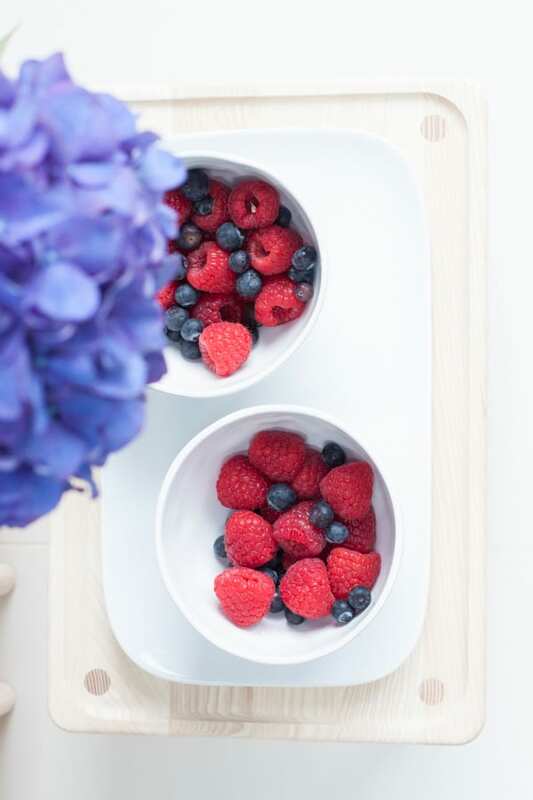 Perfect for presenting canapés, antipasti or sushi and sashimi, it’s shown here with two of my own white bowls with fresh raspberries and blueberries. 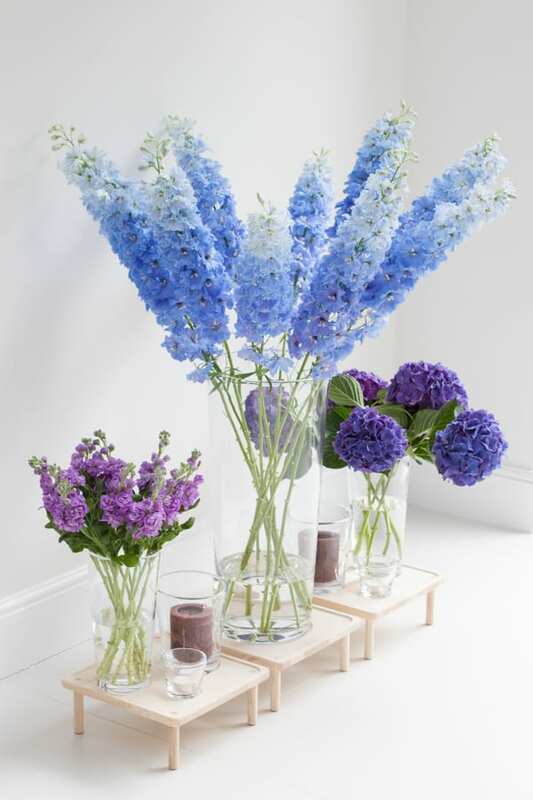 So, I hope you’ve enjoyed reading today’s blog post and it’s inspired you with some easy and effective ways of displaying flowers in your home. Below you can see by arranging the pieces from the Stilt collection together, you can give real impact to a room. 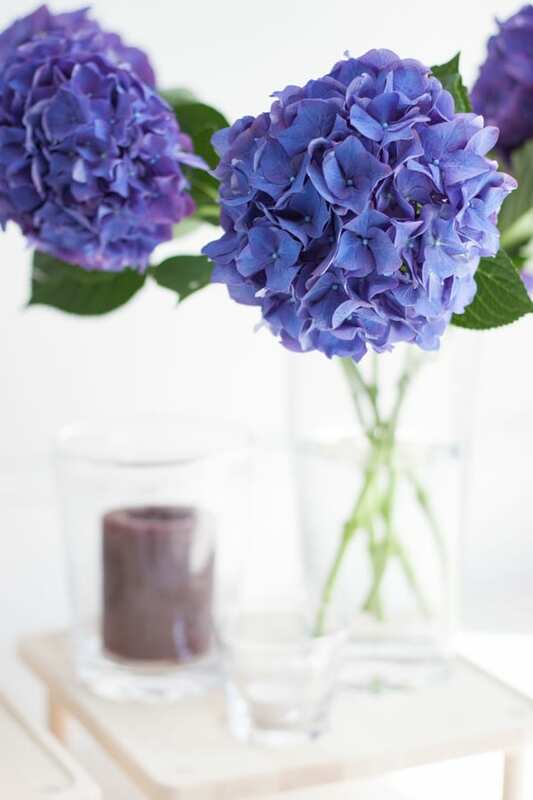 And I love how the flowers complement each other in terms of colour, texture and shape. I’ve only shared three pieces from the Stilt range. If you’d like to see the entire collection, simply visit the LSA International website. And if you would like to follow LSA International on social media, you’ll find them on Facebook and Twitter. * This post is brought to you in collaboration with LSA International. All the words are my own.